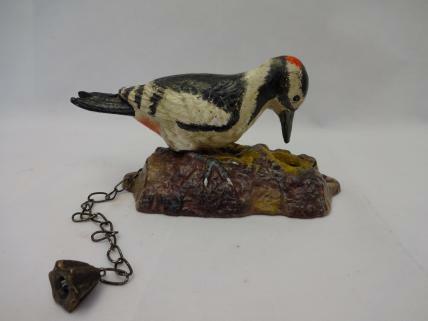 This cast iron woodpecker doorknocker features intricate detailing and realistic colours. Depicting a woodpecker perched on a tree, this doorknocker is sure to raise a smile from anyone approaching your door. Complete with operating chain.